Why Convert from PDF to JPG Format? There are many advantages of converting a PDF file into a JPG file. One of the primary advantages of doing so is that the JPG conversion supports multiple document conversion and this format also improves the data accessibility to a great deal. A PDF application is one, which is portable and compatible in nature as the very name suggests. Unlimited amounts of images can be stored in the PDF format. When the graphics or images are converted from PDF format to JPG format it gives a user with a certain capability to keep the quality and original formatting of the images and graphics as intact as well as secure and safe as possible. The original quality of the data is not hampered with and nor is it distorted. A computer user can use advanced and modified computer tools can easily aid font embed, image compression and resolution in the converted file format. The computer user can also preserve the original layout of the data like images, paragraphs, text, tables and formatting. With the help of certain advanced computer tools, a user can even preserve other visual elements such as alignment, text, colors, and lines. Among the plethora of various electronic file formats, there are file formats specially designed to support different uses and aspects of images. Some of these file formats are used by a large number of average computers users while others are used by a narrow circle of industry professionals. Of all known image formats, JPG is the most preferred and widely used. Currently, anyone that has access to the internet via desktops or mobile devices can easily accomplish internet publishing. That means JPG file format is commonly used when it comes to posting images on social media platforms, websites, and more. The tools that make it possible for you to generate JPG files are very common. For instance, most digital cameras store pictures in JPG file formats. In some cases, you may have a PDF file, and you may want to convert it to JPG. This is where PDF to JPG comes in. It's a useful tool that lets you convert any PDF file to JPG seamlessly. JPG file format is also appealing to graphic designers, imaging experts, and professional photographers. This format is perfect for images with a broad range of colors. In most cases, images exchanged via emails, posted online, used for personalizing web pages, and online marketing is in JPG format. While this format doesn't support transparency, it can effectively handle a gradation of colors that can blend from one to another. Besides, it's abilities to be manipulated in the creation of high-resolution images contributes to its fame. Why use PDF to JPG? As much as computer users use JPG files, most of them prefer storing and sharing files in PDF format. This is because unlike DOC files, PDF files can't be modified. Besides, these files can be viewed using simple applications installed on your desktop and have a small size. However, it's difficult to view PDF files using media devices and mobile phones. This is the first reason you need PDF To JPG. With the accelerating digital revolution and growth in the sharing of files, it's easy for a computer user to receive a single page PDF. PDF To JPG allows you to effectively convert this single page file to any format you want including JPG, PNG, BMP, GIF, and TIF. Note that you can convert any PDF file regardless of the application that was used to create it. Did you open a PDF file yesterday or today? The chances are that you receive such files frequently. In case you're graphics designer or an image expert, you're likely to receive lots of PDF files from your clients. The PDF To JPG features a batch mode that allows users to add even hundreds of PDF files from a specified folder or simply drag the files and drop to the file list to be converted. The PDF To JPG will convert these files into JPG very fast. One unique thing about the PDF To JPG is that it's a fast converter and it's highly reliable. It produces great files. In fact, it lets the user define the output JPG quality. It's also an economic PDF file conversion option as it can handle a single page PDF or even hundreds of files effectively. Besides, it allows users to view PDF files initially using any media device without installing any special program such as Adobe Reader. Regardless of whether you use a Mac or a Windows device, you can access the right PDF To JPG version for your device. PDF To JPG is a Windows utility, which converts PDF files to many formats including JPG, BMP, TIF, PNG, GIF images. With the converter, the users can convert PDF to JPG in page range and set the output image DPI. This converter tool even has a page breaking customization and batch mode customization along with output customization. Download the Converter Now! Copyright (c) PDFJPG.com. All rights reserved. 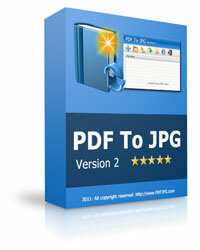 - Convert PDF to JPG Now!